Another day down, and today was a challenging one to say the least. Every year our local arts center holds a fundraiser called Men Who Cook. Guys cook up stuff and serve it all night. People pay by “tipping” your table and all the tips go to the center. This year we entered the drink section because being our fifth hearing doing it, we wanted a little break from cooking! This morning we had a lazy morning around the house. Somehow our kids managed to sleep till like 9, which is miraculous believe me. I wanted to try something new for breakfast. 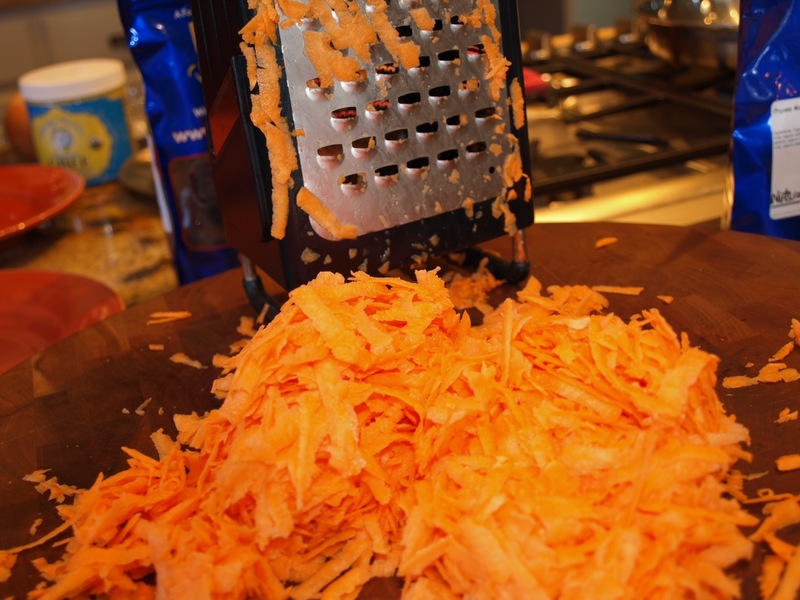 I decided to make hash browns out of sweet potatoes! 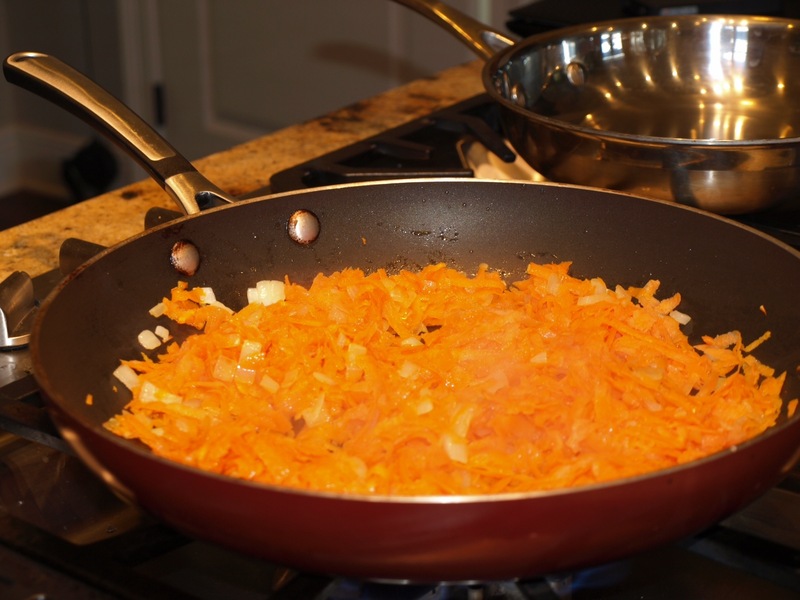 I shredded a sweet potato, diced up am onion, and fried it in a non-stick skillet with ghee until the hash was nice and charred and yummy. Next I set my sites on a two egg omelette. Actually, two of them as my wife was standing by as well. 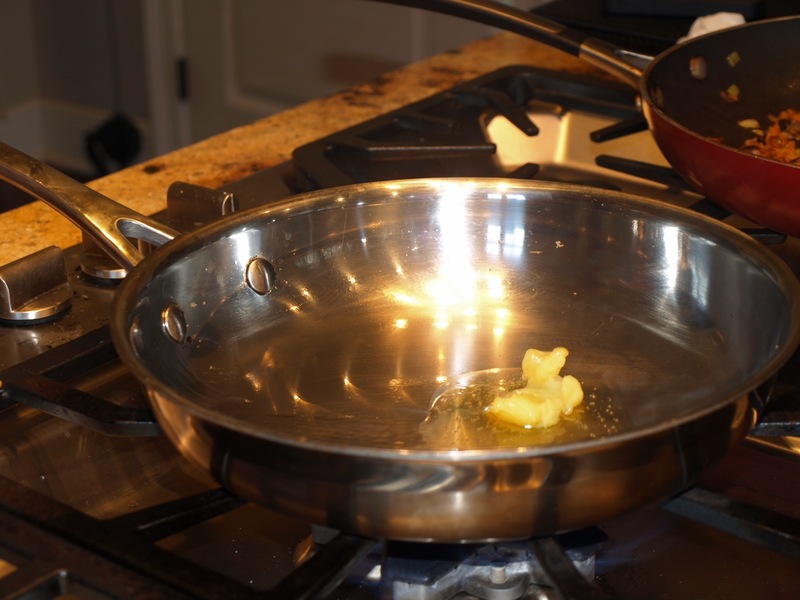 I heated a stainless steel pan super hot and added some ghee to it. I swirled the ghee around to coat the sides of the pan as well. 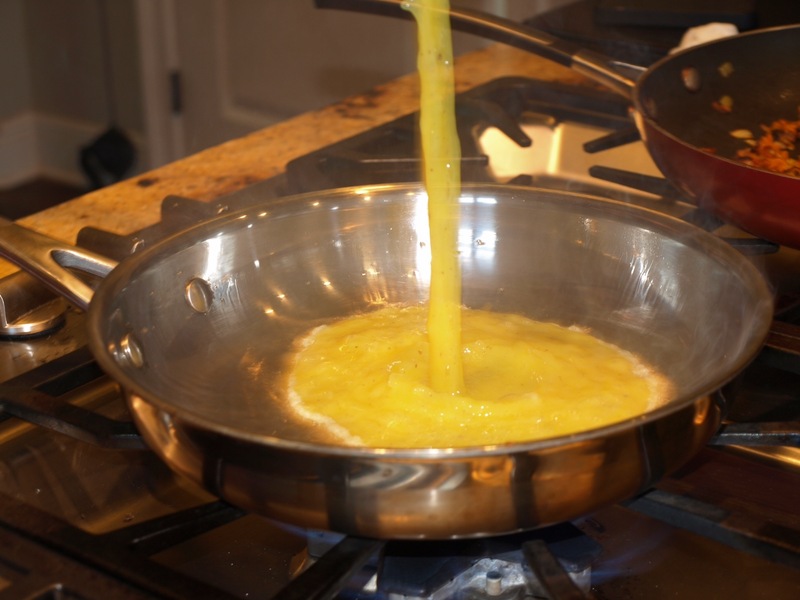 I whisked up to farm fresh eggs and poured them into the hot pan. 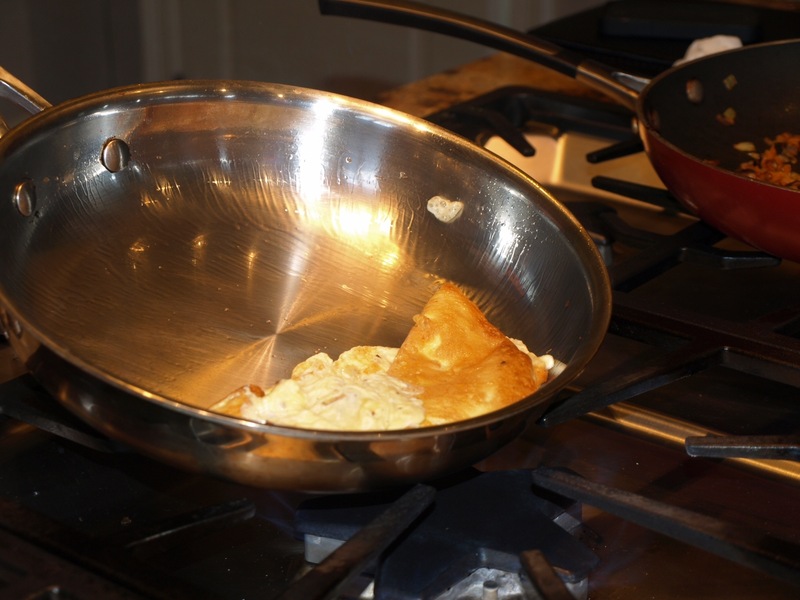 Gently swirl the pan in a circular motion for 10 seconds or so, then flip the omelette over on itself with quick short jabs with the pan. 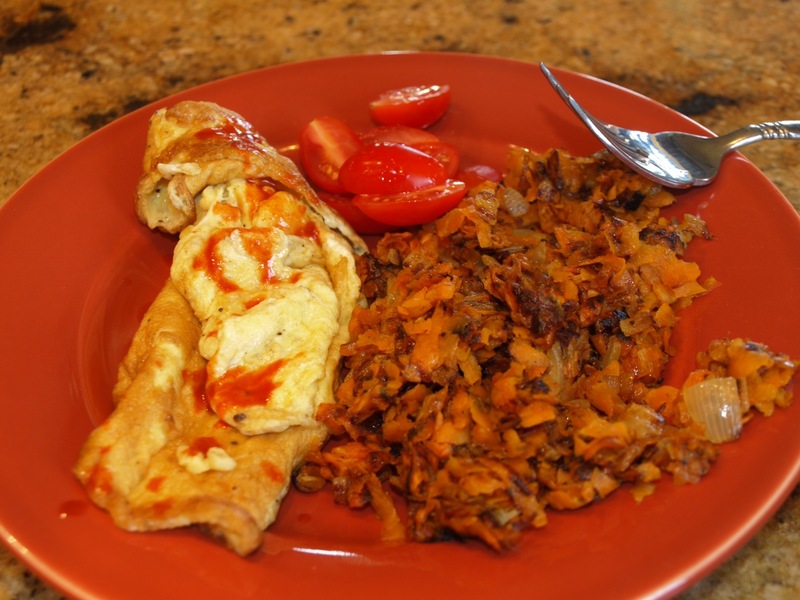 Serve with some of your hash and a few cherry tomatoes, and it’s breakfast time! 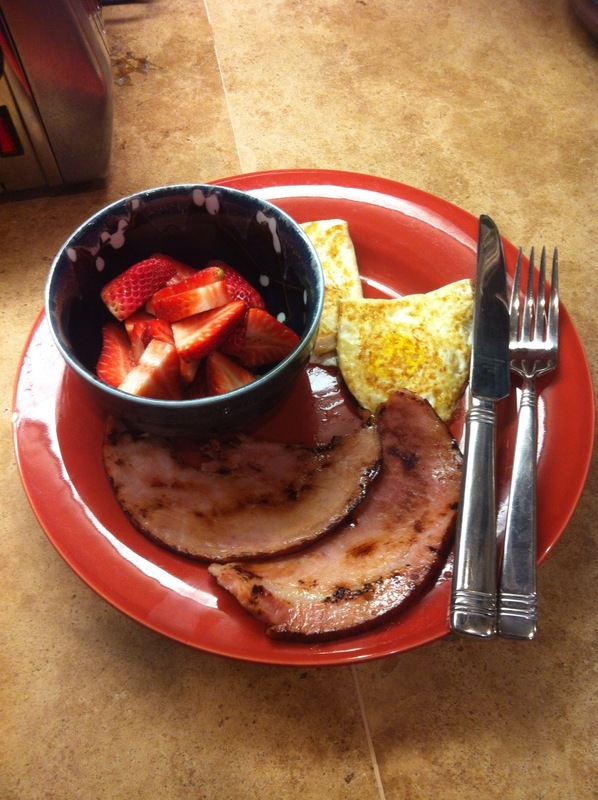 Thanks to the late breakfast I didn’t eat much all day. At the fundraiser it was decidedly not paleo friendly! My savior was two tables down where they were serving parts of their whole roasted pig! 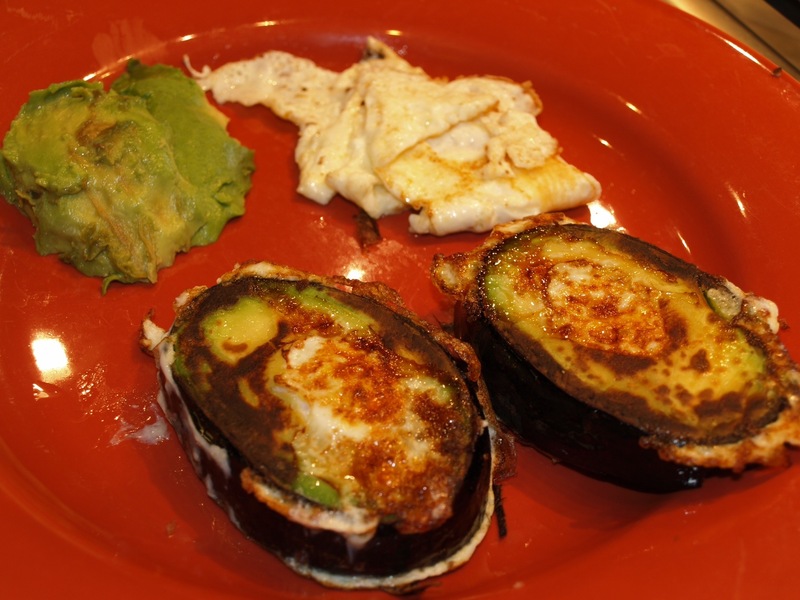 How paleo is that! It was a fun night, I managed to stay clean, and a good deal of money was raised for a good cause. On to tomorrow…the two week mark! Well, day two has almost come to a close. First I’ll recap my day from the food standpoint. This morning I had a little extra time off because today is my day off. I made some breakfast for the kids and whipped up some Avocado Toad in a Hole courtesy of Nom Nom Paleo’s Killer iPad app. I had to take my little guy to the pediatrician today and we found out he had an ear infection 😦 For lunch I made some hamburger patties for the two of us and we scarfed them down. 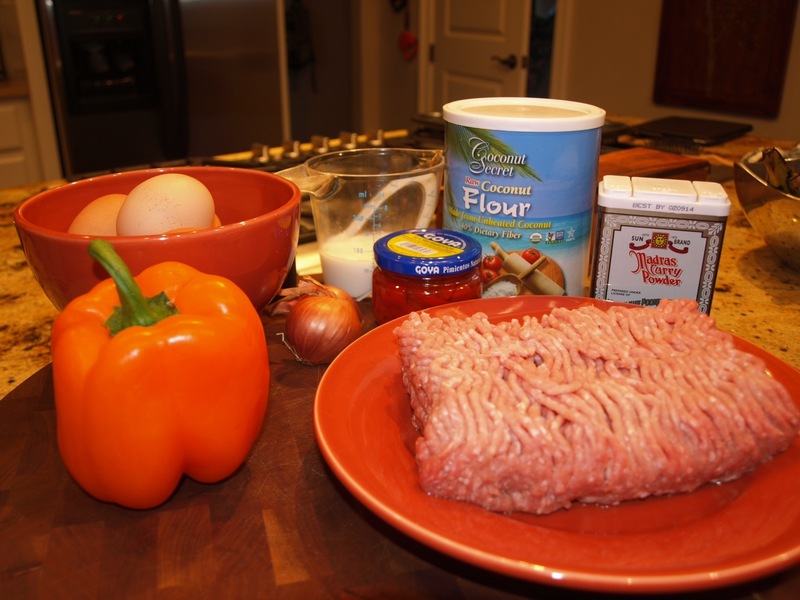 Over the weekend I picked up this nifty hamburger patty mold at Williams-Sonoma and it was awesome to use. Made perfect patties, and it has markings on it so you can easily make 1/4, 1/3, or 1/2 pound patties. I managed to get him down for a nap and had a little time to myself in the kitchen. I whipped up some bone broth in my pressure cooker to enjoy later in the week. I threw in some dried shitake mushrooms and oh man, they were amazing in the end product! Next I got a beef roast out of the Sous Vide Supreme that I had put in yesterday. Since we are on the Whole 30, it is essentially impossible to find roast beef or turkey that is compliant, so I just decided to make some! I finished off the roast beef in my cast iron skillet and stored it in the fridge for consumption along the week. Last I dropped a pack of frozen Sous Vide Carnitas I had made a week or so ago. It’s a 48 hour soak for these bad boys, so when I made them I cooked three individual batches and just froze two of them after cooling them down in an ice bath. 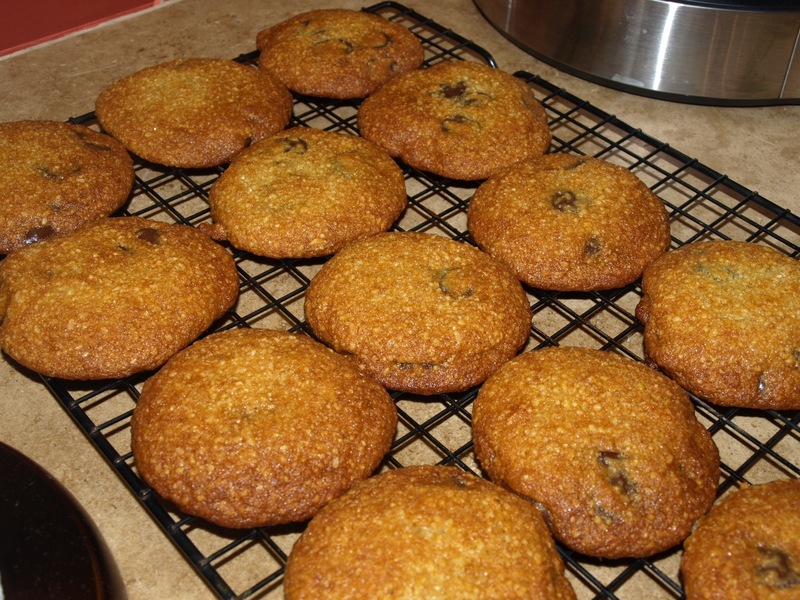 I warmed them up in the bath tonight and crisped them up in the old skillet again (old girl got a work out today!) Roasted up some acorn squash and called it a meal. Quite a good day food wise! As far as how I felt today, I had a much better day than yesterday. I must admit, I felt pretty terrible yesterday, and the only clear explanation is that my caffeine intake was dramatically lower than normal. My wife and I were both amazed by how the lack of caffeine made us feel, and we decidedly felt like junkies! We were both better today thank goodness, and I was back to feeling my usual energetic Paleo self. The transition to the Whole 30 has been fairly easy for us since we came to it from a strict Paleo lifestyle. None-the-less, it is amazing the pull a few final strongholds can have on your psyche. I can’t decide whether I want to try to drink my coffee black (have never been able to stand it) or just let the coffee go for good over the process. I will not give up coffee long term. It has nothing to do with caffeine or energy (caffeine really stopped working in med school! ), it’s just that I LOVE coffee! This will be the main thing I miss over this 30 days, but I’m excited to keep going. One more day down…off to drink some water before bed! How is everyone doing on this Valentine’s Day?? Hope all are well. Kourt and I had our Valentine’s dinner last night, so we were home tonight and I cooked for the kids. A few other goodies first though. For those who don’t know, I’m Puerto Rican by heritage. 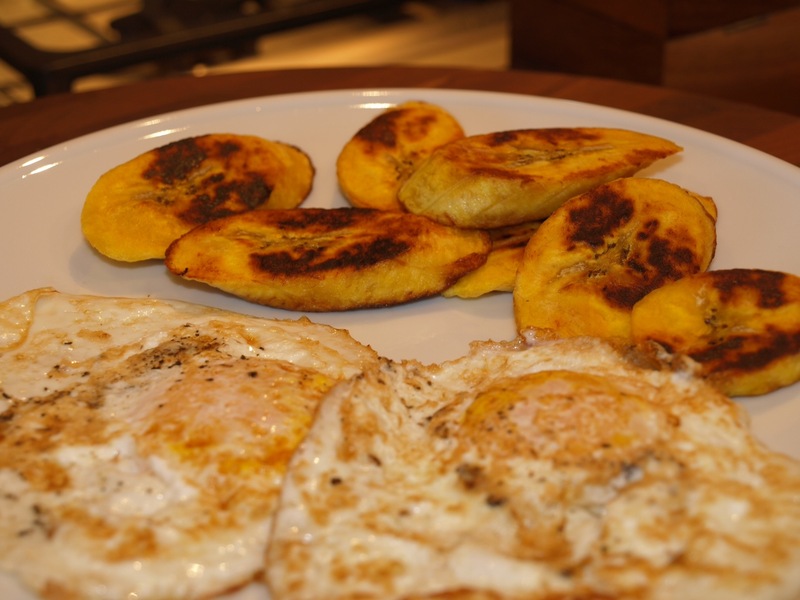 We eat LOTS of plantains, and I have vivid memories of eating very ripe plantains for breakfast with my eggs. 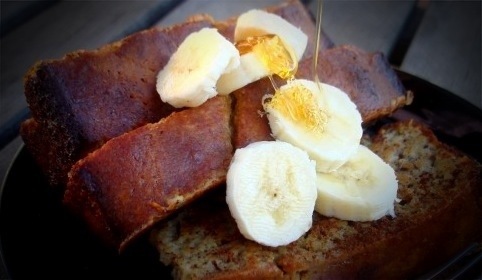 So, enter a perfect Paleo breakfast. 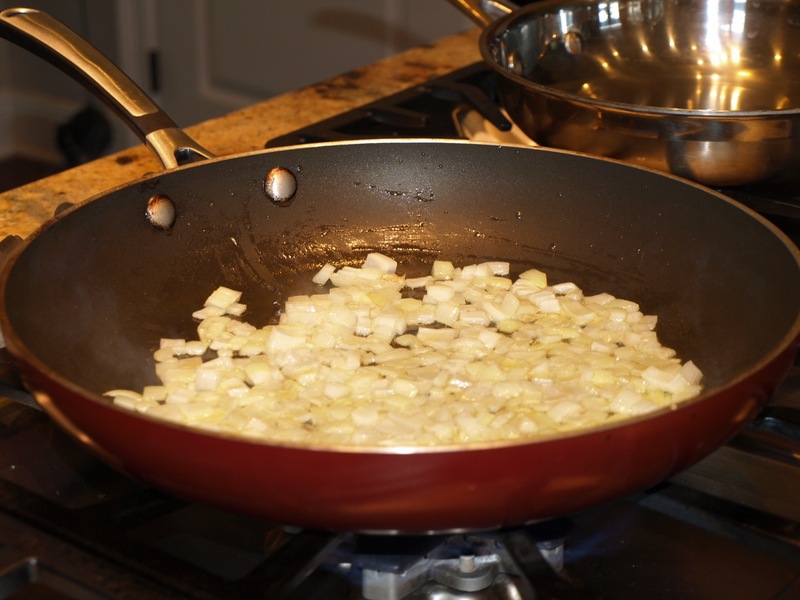 You want the plantain to be so ripe, you think it’s rotting! (Completely black) Just slice it, and fry it up in coconut oil. Next for dinner tonight I made baked chicken. 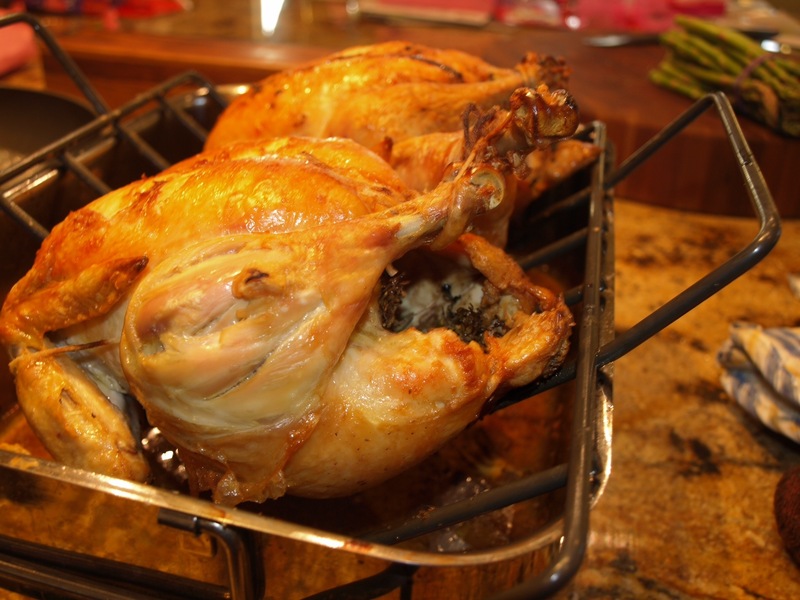 Now there are many out there who seem to be afraid of baking a whole chicken…but you can’t beat it! They are cheap, and taste better than any boneless skinless anything out there. 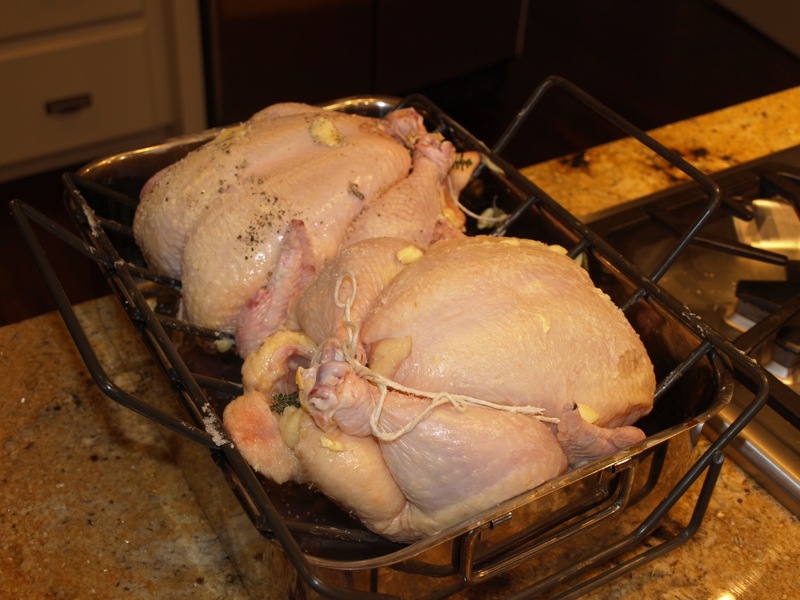 This is how I have always baked my chickens, no alterations needed for paleo! Wash the chicken’s very well in cold water and pat dry. Slice a shallot in half, and stuff half into the cavity of each bird (I always make two so I have left overs). Also throw in 3-4 thyme sprigs and rosemary sprigs from the backyard (or supermarket). 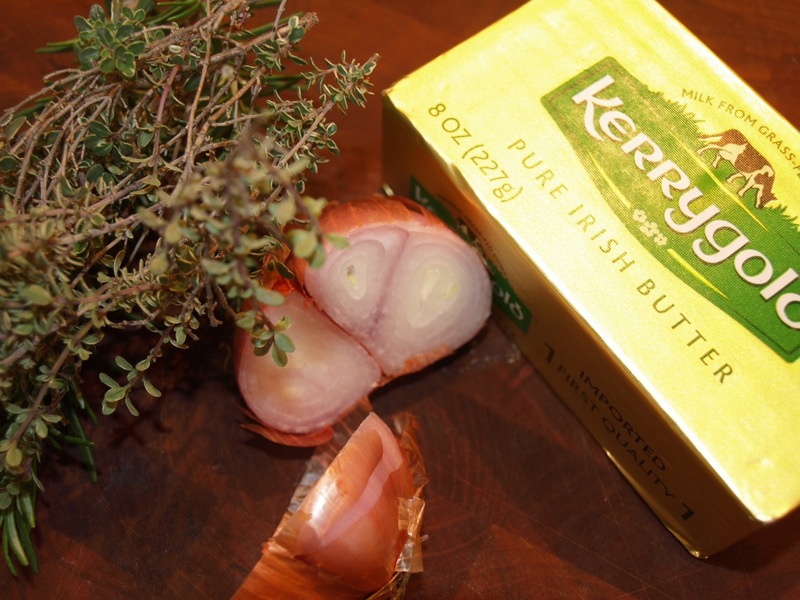 I buy grass fed butter (which has a VERY favorable omega 3 to omega 6 fatty acid ratio, and universally accepted in paleo in moderation) and rub it all over the birds. Last I season liberally with salt and pepper. You can use your imagination and season as you see fit! Preheat oven to 375 F Convection (400F conventional) and place birds in on a rack breast side up. Cook for 20 minute, flip them over, cook for 30 minutes, then flip back over until done. Around 20 more minutes. Remove from the oven and let rest 10-15 minutes. Carve and Serve! It’s just so easy, even a caveman can do it….sorry for that. Ok, so last…I have had basically nothing resembling a “treat” in 6 weeks, and it’s valentine’s day, so I made Paleo Chocolate Chip Cookies! 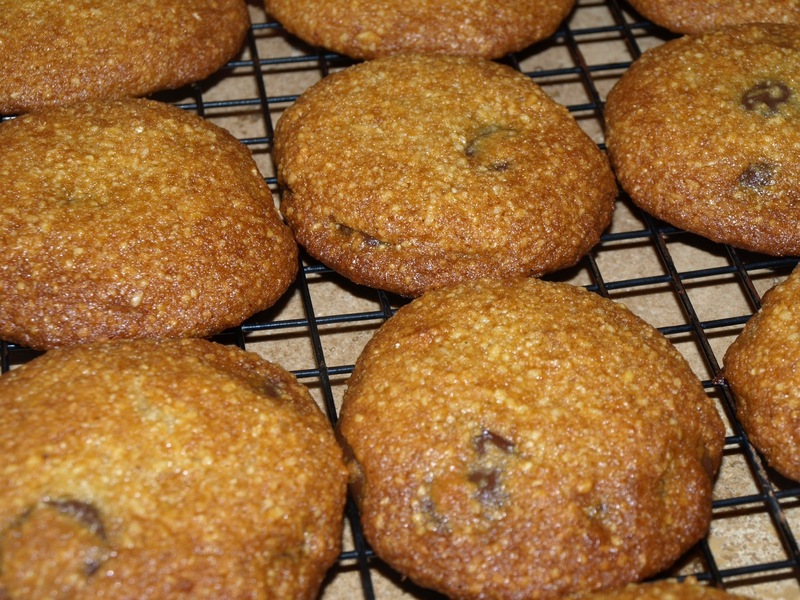 They were from the book Make it Paleo, and they were amazing! 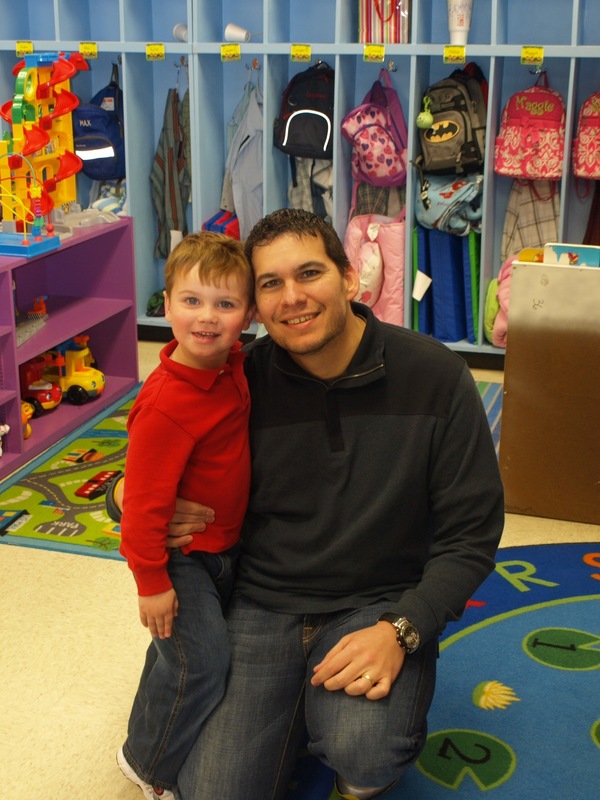 And I threw in a picture of me and my little man at his Valentine’s day party! Hope all had a wonderful day!!! Before I forget, I wanted yall to notice the recipe index tab above. 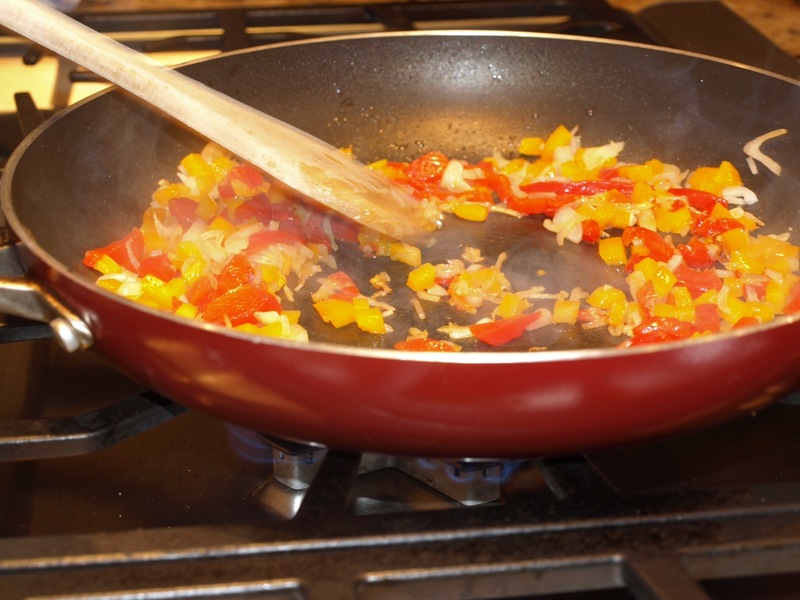 I’m adding links to all the recipes I post under this section to make it easy to find them over time. I have nothing but plans to grow this blog over time, and one day the organization will help everyone find what they need much faster! On to the food.. If you are all like me, it’s hard some days to find time to eat a complete breakfast when you are on the go. I love a good frittata, but often gotta get the kiddos to school before I could ever finish one! 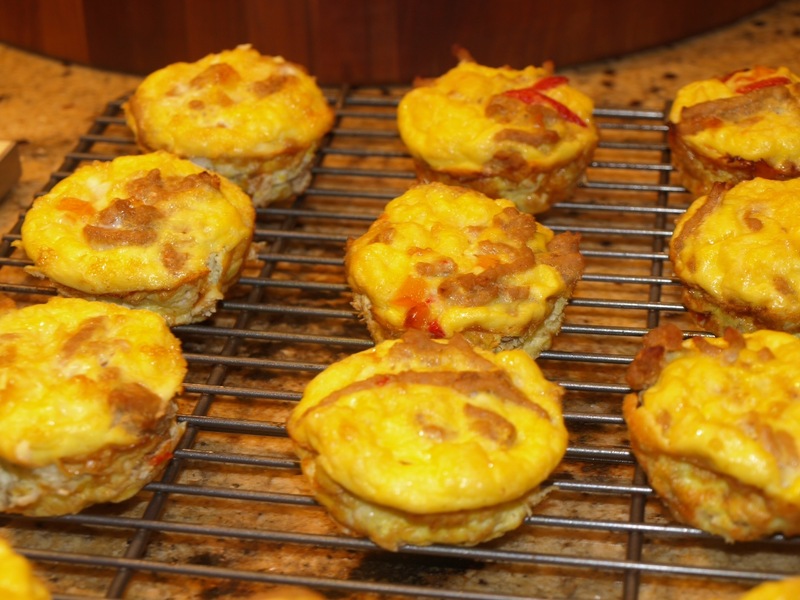 Enter the muffin frittata (Nom Nom Paleo is apparently obsessed with them). This morning it’s just me and the kids, so I decided to take my first crack at baking me up some individual frittata’s with the hope of eating a few in the mornings this week for breakfast when I’m running short on time. Pre-Heat the oven to 375 F. Here is what I assembled for the job. 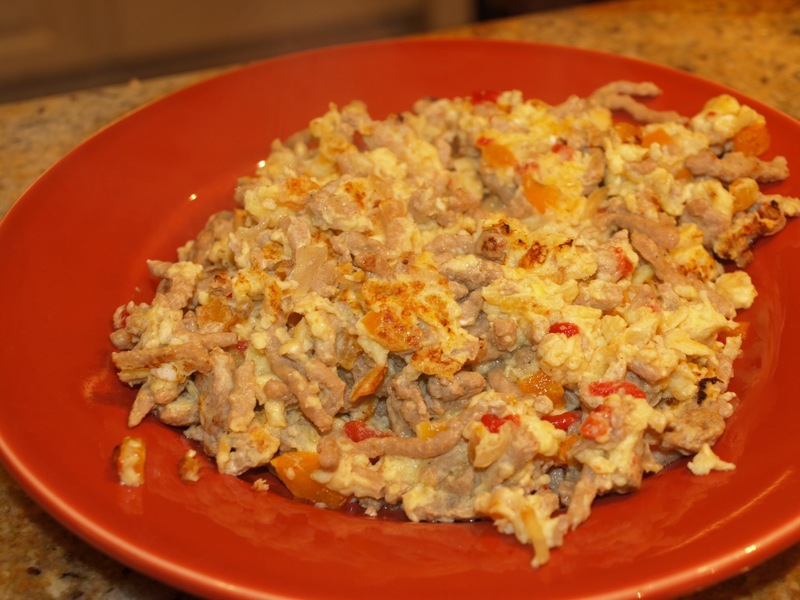 Half a pound of ground turkey, two shallots, a yellow pepper, a can of red pimentos, Madras Curry Powder, 1/4 cup of coconut milk, coconut flour, and 6 eggs. 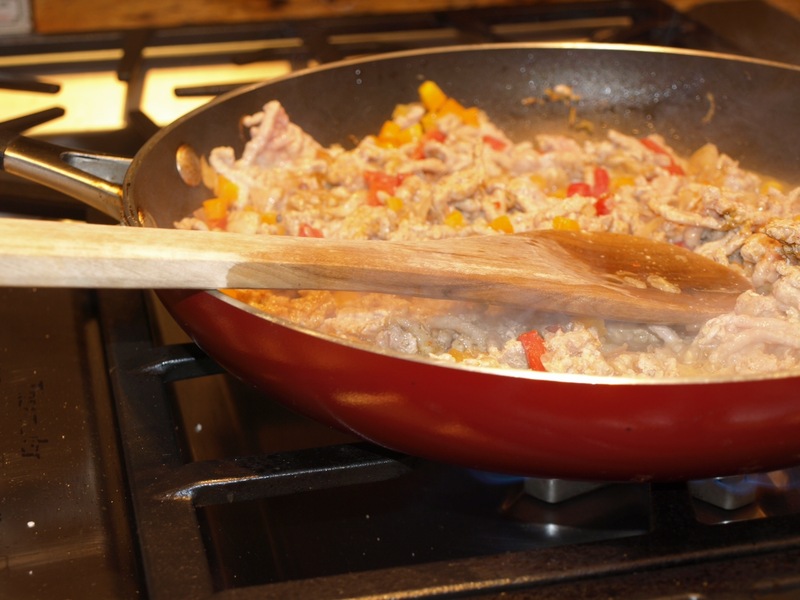 Next I heated up a little olive oil and cooked up the peppers and shallots until just tender. I added the turkey and seasoned liberally with salt and the curry powder. Saute until just a bit crispy on the edges. In the mean time I sprayed a non-stick muffin tray with coconut oil spray and whipped up the egg mixture. Just whip the eggs with the coconut milk and a bit of coconut flour. 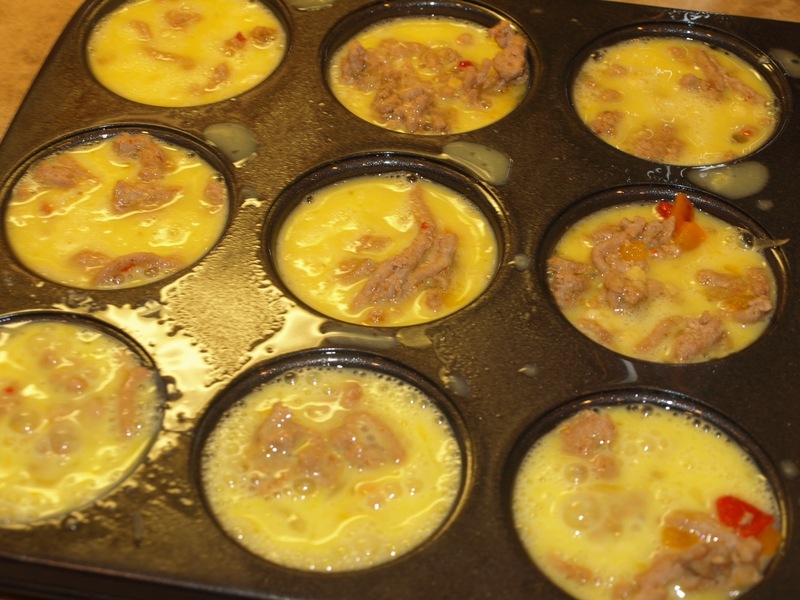 Fill each muffin cup with the meat mixture, then top off with egg mixture to reach almost the top. Pop these in the oven for 12 minutes, then rotate the tray 180 degrees and bake an additional 5-6 minutes. 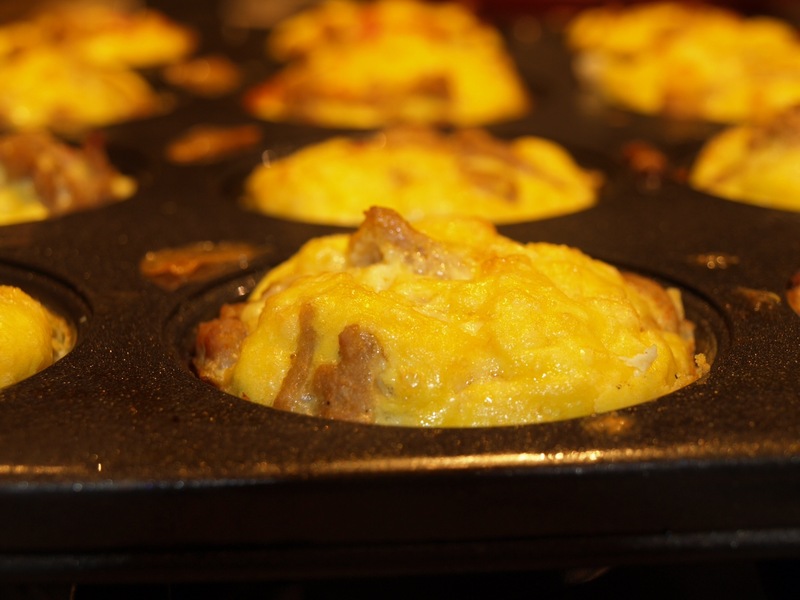 Immediately after taking them out of the oven I ran a sharp knife around the edge of each muffin to make sure it did not stick…then I crossed my fingers. After around 10 minutes I GENTLY removed each frittata to a cooling tray. To my great surprise, I did not have to be that gentle after all as they held together very well and did not stick at all! The possibilities are endless here on good flavor combinations…I will certainly be experimenting more with these and think they’ll be a big hit on busy mornings!